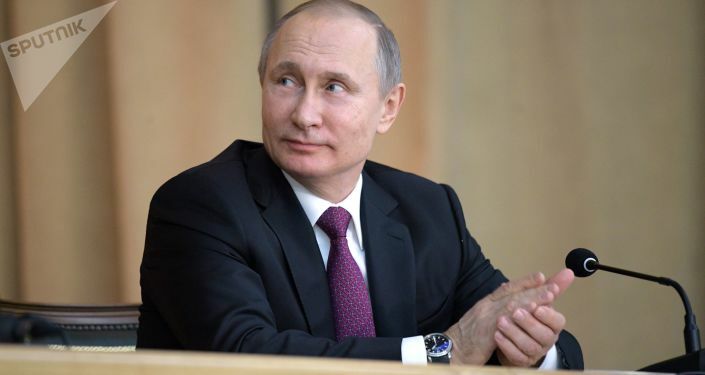 The message sent by President Vladimir Putin's annual state-of-the-nation address has been the strongest in the recent years, Vladimir Dzhabarov, deputy chairman of Russia's upper-house foreign affairs committee, told Radio Sputnik. Commenting on the Russian defense strategy outlined by the president, Dzhabarov suggested that it aimed "to throw a wet blanket upon some partners in the West, who rely on the use of force while advancing towards our borders and strengthening their weapons." "The president made clear that it is absolutely unpromising to treat Russia this way; no one can intimidate us, so let's join together at the negotiating table," the politician pointed out. According to Dzhabarov, "the president showed the entire nation that it should not fear for its safety amid increasing sanctions: Our Motherland is effectively protected by our army, our weapons." "This is especially important today when the [Russian] people are on the stretch due to news from the West," the Russian politician noted. "The president reiterated several times that he was talking exclusively about defense. Our adversaries should know that Russia is always ready to repel an attack. If they strike at our allies we will regard it as an attack against our country and our answer will follow immediately." Alexander Zhilin, the head of the Center for the Study of Applied Problems of National Security, echoes Dzhabarov: "[Russia] counts on the further modernization and creation of new types of delivery of nuclear munitions to a potential enemy," the security analyst told Sputnik. "The 'boomerang' is being improved, so that in case of any aggression against Russia, it may inflict irreparable damage on any aggressor." According to Zhilin, the state-of-the-nation address has become the logical extension of Putin's 2007 Munich speech which warned some nations against pushing the world to the brink of a third world war. "If one believes that he will manage to pull chestnuts out of the fire of the third world war, he is mistaken," Zhilin said. "Retribution will follow." The security analyst focused attention on Russia's achievements in the field of developing hypersonic weapons, stressing that modern missile defense systems cannot detect and intercept hypersonic missiles. While Russia's Western partners are likely to raise alarm over the country's military modernization, accusing it of being aggressive, Moscow has to proceed while trying not to fall into Soviet-era traps. "We see that the major shortage in the military-industrial complex, which was typical for the Soviet era, has been overcome," Zhilin pointed out. "[In the USSR] technological developments that had not been implemented in the military sphere were kicked into the long grass instead of being used in the national economy. Today, dual-use technologies are put into civilian sector." According to the security analyst, it is important "to adjust the economic course of the country so that no one can ever say that national defense could lead to the impoverishment of people." What's New About Russia's Sarmat ICBM? For his part, retired colonel and defense expert Viktor Litovkin puts emphasizes the capability of Russia's heavy liquid-fueled RS-28 Sarmat intercontinental ballistic missile (referred to by NATO as SS-X-30 Satan 2) to overcome modern missile defense systems. President Putin revealed that in late 2017, Russia successfully tested a completely new type of weapon — a nuclear-powered missile. 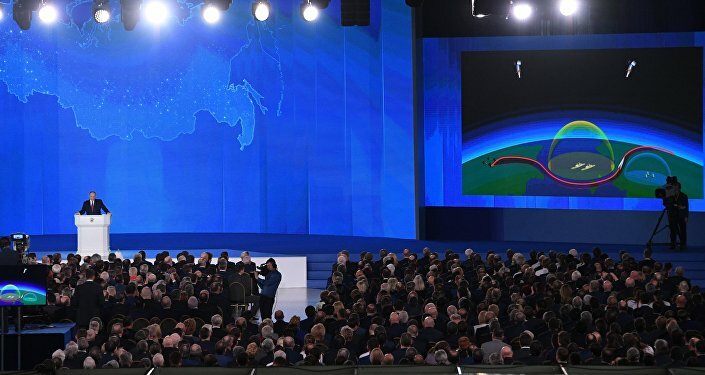 Stressing that Sarmat missiles will be equipped with nuclear warheads, the president noted that additionally, Russia is developing a nuclear warhead small enough to be carried by cruise missiles. "As Putin said, today we have cruise missiles with a miniature, small-sized nuclear engine that allow these missiles to fly an infinitely long range," Litovkin underscored. "I believe that the president thus dropped the hint that the warheads of Sarmat missiles will become supersonic, even hypersonic at a certain moment when approaching the target." Since these missiles will fly "not only along the ballistic curve, but also in a zigzag as cruise missiles, changing their height while skirting the terrain," at supersonic and hypersonic speeds they will be invulnerable to any anti-missile defenses, the retired colonel highlighted. Andrey Manoylo, a member of the Russian presidential Security Council, insists that Putin's address was primarily "human-centered," although the final part of the president's speech dedicated to the country's defense capabilities attracted the most attention. "For almost two hours the president explained how the Russian economy will develop, how social and economic problems which concern everyone will be solved," Manoylo emphasized. "It was clear that the improvement of standards of living of ordinary citizens of the Russian Federation is the main strategic task and that all resources will be used to accomplish it." 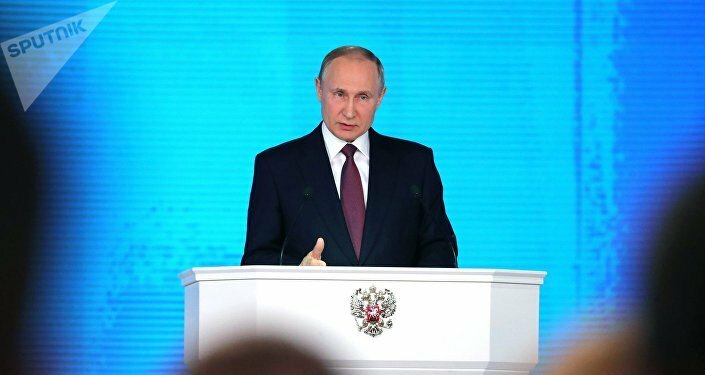 It appears that the major addressee of the second part of Putin's speech were Russia's Western partners, the politician opined. According to Manoylo, the president's key notion was that the West has repeatedly turned a deaf ear to Russia's warnings. "It should listen at least now, before the arms race leads the West's economy into the abyss," the member of the presidential Security Council emphasized. "This was the leitmotif, which emphasizes everything that the president outlined in the last part of the message." The politician suggested that to some extent it was a warning to those Western countries that still do not see Russia as an equal partner. 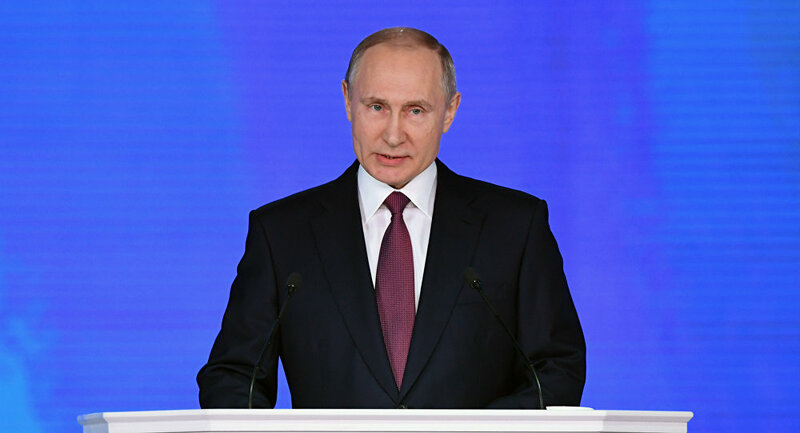 On March 1, President Putin delivered his annual state-of-the-nation speech to the Federal Assembly, in which he outlined Russia's domestic and foreign policy priorities.